When you take out a loan on a Lake Havasu home, the bank requires that an appraisal be performed. This is one of the factors that helps them decide whether or not to approve you for the loan. Even so, a lower appraised value doesn't necessarily kill a deal. It may, however, provide an unwanted hurdle in the home buying process. 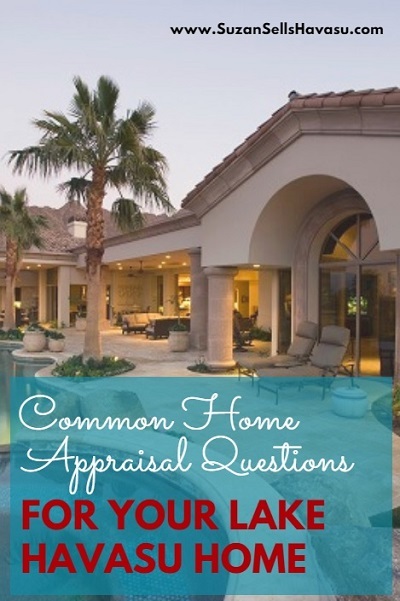 Here are a few common home appraisal questions that Lake Havasu buyers ask. Q: Why do I need an appraisal? A: Lenders require a home appraisal anytime you apply for a mortgage loan. In essence, this protects their investment. In case you default, they want to know that they can sell it to recoup their costs. The only way to avoid a mandatory appraisal is to pay cash. However, even if you do pay cash, you may still want to have an appraisal done to see what the property might be worth. Q: Aren't a home inspection and an appraisal the same thing? A: No. Home inspectors look at the condition of a Lake Havasu home: the roof, electrical, plumbing, foundation, etc. They also look for potential problems. An appraiser determines the fair market value of a home based on its size and amenities in relation to other homes in the area. Q: Who does the appraiser work for? A: The bank. Even though the buyer pays for the appraisal, the appraiser actually works on behalf of the lender. It is their job to assess whether the home's value fits with the sale price. Q: What happens if my appraisal comes in higher or lower than the agreed upon sale price? A: If the appraised value is higher than the sale price, congratulations! You might actually have some built-in equity when you move in. However, if it comes in lower, you may have a choice to make. You can try to renegotiate the price down, using the appraisal as a bargaining tool. Or, you could pay the difference between the appraised value and the sale price yourself. Yet another possibility is to talk to the seller about adding possible concessions. For example, if your appraisal comes in $5000 less than the contracted sale price, the seller might agree to pay some of the closing costs to offset the difference. With an appraisal contingency, you could back out of the deal altogether. Discuss all options with your Lake Havasu REALTOR@ before deciding how to proceed. It's important to keep in mind that appraisals can be subjective. 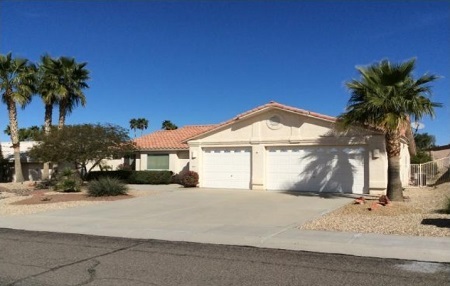 What one appraiser values a Lake Havasu home to be may not match with another's appraised value. If you have any questions about home appraisals, please feel free to contact me. I'm always ready to help you with any of your Lake Havasu buying or selling needs.